French sport - but which one? When you think of a sport for which France is famous, what comes instantly to mind? Cycling, perhaps, with the Tour de France? Skiing, in the swish Alpine resorts so beloved of the rich and famous? Fishing, maybe, in the lakes, rivers and sea, or perhaps it is simply the pleasures of walking which most symbolise sporting France for you. The following article outlines the main sports and gives our opinions of the best places to pursue them. France is well known as a sportsman's paradise, and it seems that the sport for which La Belle France is best known depends on what interests you particularly, and also where you are in the country. The sheer size of France means that there is an amazing diversity of terrain, and of climactic conditions, resulting in the equal diversity of sporting opportunities. The mountains, for example, the massive Alps and the beautiful Pyrénées in particular, cannot fail to be a draw for skiers in the winter, and offer superb walking and climbing in the summer months. (Property in the best walking areas of France). The lakes and rivers attract fishermen, the rushing waters of the canyons and gorges call to lovers of adventure sports, and the endless kilometres of trails through mountains and valleys, by sea and ocean, through forest and sunflowers simply beg to be walked. So, which sport is your sport? France, being well supplied with mountains of the required height to achieve a good fall of snow in the winter months, is a natural choice when it comes to skiing and other snow sports. The biggest and best known resorts are, of course, in the Alps, where the winter Olympics are sometimes held, and which are home to some of the swishest resorts and most challenging slopes in Europe. (Ski Chalets for Sale in France). The most serious of skiers will head for Chamonix, Mont Blanc, which is still held to be the ultimate ski resort in France. Also very popular are Val D'Isere, Les Arcs, Tignes, amongst many others, and if you are young, hip and happening, and snow boarding is your thing you should try Risoul, in the Forêt-Blanche in the Rhone-Alpes, where there are lit half pipes, bumps and jumps to keep you flying through the air all day long. Families are welcomed at Megève, with special ski schools and kindergartens for children as well as excellent skiing for the adults, whilst the most daring among you might like to make the trip to the Alpe du Grand Serre, in the Rhone-Alpes. At around 1,370 metres altitude there is some seriously exciting skiing on offer here, and which will produce some après ski stories you can dine out on for years afterwards! Cross country skiers too have no shortage of places to enjoy their sport in the French Alps. Perhaps one of the best resorts to try is Super Devoluy, in the southern Alps, which has 80 kilometres of cross country trails arranged in seventeen loops. Before leaving the snow sports scene it must be pointed out that the Alps, magnificent though they are, are not the only place for enjoying skiing, boarding and many other winter sports. Have you ever considered dog sledding? Snowshoe walking? Snow mobiling? All these, as well as the more traditional winter sports are offered by other mountainous regions of France, and these lesser known places can present an excellent choice if you want to escape the crowds, spend more time skiing and less time waiting in queues for the lifts. The Pyrénées are developing the range of sports and facilities offered in accordance with increased demand, and are also unutterably beautiful and rooted in a fascinating history. Skiing down a mountain whilst gazing out onto the last castle to be captured in the crusades against the Cathars, etched tragically and spectacularly (and impossibly!) on a mountain top takes some beating in terms of combining culture with thrills! Pyrenean resorts worth a look include Cauterets, near Pau in Basque France (Cauterets Property Guide), Les Angles in Catalan France, close to Andorra, Font Romeu, by the Spanish border (where Paula Radcliffe and many other famous Athletes do their high altitude training), Pyrenees 2000, Bolqueres and Puyvalador. 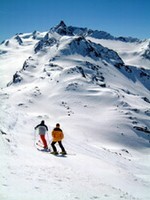 For some, one of the advantages of skiing in the Pyrénées is the fact that many of the resorts are very down-to-earth. The hotels are usually good value, with food and drink in the restaurants and bars not overpriced. And although the resorts maybe relatively small, they do offer all that you need, including ski hire shops. Cycling is a sport which has become synonymous with France due to the famous Tour de France cycle race which grips the country, and the cycling world, in a frenzy of excitement every summer. An ultimate test of fitness, hard headedness and sheer determination, Le Tour (not to be confused with La Tour, which is, of course, the equally famous Eiffel Tower!) arrives in French towns and villages to the delight of excited crowds, dragging with it a veritable circus of advance promotional vehicles (many of which throw goodie bags to waiting children), TV cameras, support vehicles, outriding motorcyclists (who occasionally collide with the racers themselves causing untold chaos! ), gendarmes, and not forgetting the cyclists themselves. Familiar names flash past in a blur of activity… Armstrong, Boonen, Mc Ewan, Zabel… it is enough to leave you exhausted just thinking about it. The Tour, for those who want to witness this amazing spectacle for themselves, travels around France in a different direction each year, and changes the towns and villages en route regularly. However, wherever you are in France you will probably be able to find a stage within travelling distance! Perhaps you are even more energetic, and wish to cycle some of these famous tracks and peaks for yourself? Everywhere you go in France you will find cycling clubs, cycle shops and hire shops. The roads and hills are decorated with brightly coloured characters zooming (or not zooming, depending on age and level of fitness!) around, and you will also find many who treat the bicycle as their regular form of transport, rather than the modern motor car! So where then, are the greatest regions of France for cycling? The answer, as you might expect, is anywhere and everywhere. There are picturesque and flat areas, which are ideal for those whose fitness does not correspond with that of Lance Armstrong. Cycling along the Canal du Midi, in the Charente or in the Alps! You could try, perhaps, the quiet tow paths of the Canal du Midi, enjoying the changing scenery as it wends its way from the Atlantic to the Mediterranean Sea. Take a look at the more gently sloping and extremely pretty countryside of the Charente (Charente Property Guide), maybe, if the idea of cycling along lanes between towering sunflowers appeals (how could it not?). 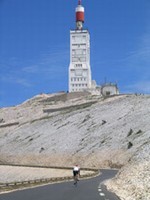 If you are up for the challenge, of course, you could attempt to follow in the footsteps of the great riders of the tour, and take in Mont Ventoux in the Alps, though this is not for the faint hearted! If you are a cyclist who is looking for a base in France from which to pursue the sport, you could do worse than to take a look at the places through which the great race passes, and take your choice from the massive variety of roads, gradients and landscapes you will find. There are many for whom sailing is the ultimate sporting pleasure. Sailing is a hugely enjoyable way of spending some leisure time, and it can be as relaxing or mentally and physically demanding as you choose, depending largely on the location in which the sport takes place. France is a land of water, as well as of mountains, and almost everywhere you go you will find rivers, lakes and, the ultimate challenge for sailors, the sea and ocean. (Property near Sailing Ports / Marinas in France). If we are to understand the word 'sailing' as involving any activity that takes you onto water in a boat of some description, then we must at least briefly touch on the rivers and canals of France, and the gentle (and not so gentle) pleasures they offer. If gentle is your thing, then the canals and inland waterways such as those found in Brittany (Brittany Property Guide) and the Languedoc (Languedoc-Roussillon Property Guide) are a perfect solution. Here you can drift and sunbathe, and the most taxing thing you will probably have to do is negotiate your way through the locks! If, however, you don't classify this as sport, perhaps you might prefer the rushing white waters of the canyons and gorges that you find in the Massif Centrale, or in the High Pyrénées, where you can launch yourself down terrifying waterfalls in a rubber raft or tiny kayak. For the purist, however, sailing can only mean one thing, and that is to fly along under power of sail, pitting your skill against the awesome might of wind and water. France offers endless opportunities for sailors, as the country is awash with suitable stretches of water. Inland, the lakes are a superb training ground where the novice can acquire the necessary skills in relative safety, and a look at a map of your chosen part of France will detail these lakes for you. Pleasure lakes in France are a big part of the leisure culture, and it is rare to find a lake of any appreciable size which does not offer sailing, swimming, windsurfing, jet skiing and similar activities. One of the best known and largest of these pleasure lakes is Le Lac de Saint Pardoux (Saint Pardoux Property Guide), in the Perigord/Limousin region of central France. Many areas of France have access to similar pleasure lakes, however, and it is cheap and easy to join the sailing clubs and take advantage of the wonderful facilities. If you prefer the undeniable thrill of the salt air and tides offered by sea sailing, France has a veritable paradise of opportunities for you. There is the Mediterranean Sea, where the waters are warm and relatively calm, but where you will perhaps need to be rather well off to buy property and to secure a mooring for your boats! The ultimate destination for devotees of sailing in France has to be the Atlantic coast, where the winds and waves are huge and the challenge supreme. Another sport which has achieved massive popularity in France is fishing. Once more, the sheer amount of available water in France is a key factor, and there is so much to choose from that all types of fishermen are catered for. (French Properties with Lakes). Coarse fishermen will find that the thousands of lakes, both natural and man made are a wonderful source of fish, with big catfish and carp of a most impressive size! You should, however, bear in mind that you will need a licence to fish in publicly owned lakes, so ask at the local Mairie or Tourist Office first. If you are a sea angler you will not be disappointed with the dramatic and beautiful Atlantic coast. Try the waters around La Rochelle (La Rochelle Property Guide), where you can find sea bass, conger eels and skate. Boat fishing for bream, bass and even tuna is another possibility, and the area around Landes (Landes Property Guide) in Aquitaine is excellent for this. Finally, for those who love the finesse of fly fishing, there are many possibilities, but you need to remember that although there are trout and salmon to be found in public waterways, such as the canals and rivers, there will also be pike. To fish privately owned waters you need to go to your local Tourist Office to find who to see to purchase a permit, and also to purchase a licence. This done, however, you will have access to some superb fishing. Rivers and streams are categorised, usually Type 1 or 2. Type I contains salmon and trout, whereas Type 2 waters have rough fish. For some of the best salmon fishing in France, head for the Pyrénées-Atlantiques (Pyrénées-Atlantiques Property Guide), close to Pau and Biarritz and fish in the waters of the River Gave d'Oloron. The season here lasts from June to August. If you want to fish in the North of France you could try Brittany, in the Elle River, where the season is short but sweet (June 15th - July 14th ). The Loire, in central France, is another great fishing river. The equestrian enthusiast cannot fail to be impressed with the incredible diversity of hacking country in France. From a windswept sea shore, through vineyards and sunflower fields, dappled woodland redolent with the scent of pine, to a Heidiesque landscape on top of a mountain plateau, there is something here to please everyone. The right to roam means that almost anywhere is open to you, and there are hardly any fences in your way. Most French farmers are environmentally aware, and you will find that even planted fields have a wide band of grass around the edges to protect hedgerows and water courses. This opens up the countryside in a way that is hard to find in intensively farmed and fenced Britain, and makes for gloriously traffic free riding, as you can go for miles on the waymarked trails and bridle paths without ever having to use a road. The choice is as wide as it is high, a matter really of individual taste. Local detailed maps will show bridlepaths, and are well worth buying before you set out. Centre Equestres, or Riding Centres and Pony Clubs are dotted around the countryside all over France, and you will find a warm welcome and an excellent standard of teaching in these. If I have failed to mention your sport here, please forgive me. There are, of course, hundreds more, and it is difficult to think of any that are not available somewhere in France. Scuba diving, rock climbing, paragliding, canoeing, rugby, football, volleyball, tennis… and that is just the beginning of the list. It's official then, France is a sporting nation without peer in Europe. There are, I believe, many reasons which come together to make this the case. Firstly, there is the size and diversity of the terrain and the weather, which predispose the conditions for different sports. There is the fact that the country is less populated than England, which means that there is literally more room for sporting activities, the roads are quieter, etc. The most important factor, however, would seem to be the culture in France, which is quite different form the UK in many respects. There is more leisure time, with longer lunch breaks and less shift work, and people tend to make more of their leisure time as families. There are sporting clubs attached to every town and village, and everywhere there are huge sports complexes, rugby pitches and volleyball courts. If you travel to a French lake on any day during the school holidays, you will be amazed at the sheer amount of youngsters who are learning to sail, to windsurf, to canoe. Families spend whole days together engaging in sporting activities and the clubs try to keep prices down, make their sports accessible to all, and run an excellent social programme too, even when the sport itself is out of season which again keeps peoples' interest. All in all, sports are close to the heart of France, and no matter what your sport, you will find a corner of this beautiful country in which to enjoy it. Just reading your sports column, very interesting, but no news on football. Are there good quality town teams with a youth policy, are there good facilities? I am sure young people would like to have this information especially if they are from the UK. Any information would be useful. At the moment all I can tell you is that as with all sports, France seems to have football facilities and teams in every village... there are LOADS of grounds. I know adults who play for their village teams and seem to have a good social side too. In general, they don't have school teams, but schools are involved with local sports clubs and push sporty kids into joining these. Hello - I was reading your article about sailing in France and wondered if anyone knows why, given that France is such a keen sailing country, there is only one RYA yacht sailing school in France when there are many in other countries like Spain and Portugal? It seems that dinghies are quite prevalent on the lakes but there seems less on offer on the sea. The RYA website seems to have RYA dinghy schools and activities on the lakes, RYA powerboat training or training on large motor yachts down in the south. I could only see one yacht sailing school which I thought was strange from a country with such a strong yacht sailing tradition. Does anyone know why this is?